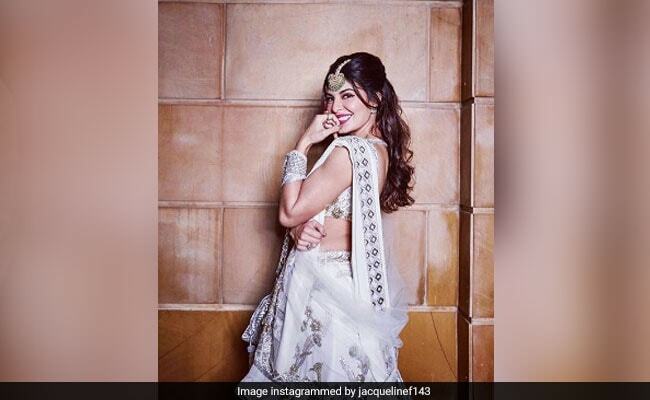 Jacqueline Fernandez credits her success and failure for keeping her balanced and calm. The actress says she doesn’t regret any of her decisions. “The journey (in Bollywood) has been very rewarding, I have been blessed with opportunities to deliver my best work with some of the biggest names and films,” Jacqueline told IANS in an email interview. “I look back and feel satiated about the successes and failures because both have taught me to be balanced and calm. Whatever I am today is a result of all the choices I made through the journey so I do not regret anything,” added Jacqueline. “Meeting new people and coming across new experiences have given me several lessons which have been fruitful in not just dealing with the challenges in the industry but also the way of life. The love and support of the audience is my biggest asset that I have earned in my professional career,” added the actress. “You can achieve a look of choice with the perfect shoes,” said Jacqueline, whose Sri Lankan film According to Matthew featured in Reminder List of Productions eligible for the 91st Academy Awards. When it comes to picking brand endorsements, the actress says she is “very particular” about this. “It is very important that the brands I choose are environment friendly. I would never endorse a brand that in any way harms or hinders animals,” she added. On the work front, she will soon be seen opposite Sushant Singh Rajput in Drive, scheduled to release on June 28. The Dharma Productions’ project was earlier locked for release on March 2, 2018. Then it was later announced that Drive, which is said to be a heist drama, will race to cinema halls on September 7.